Write a program in C# Sharp to find the sum of the series [ x - x^3 + x^5 - ......]. 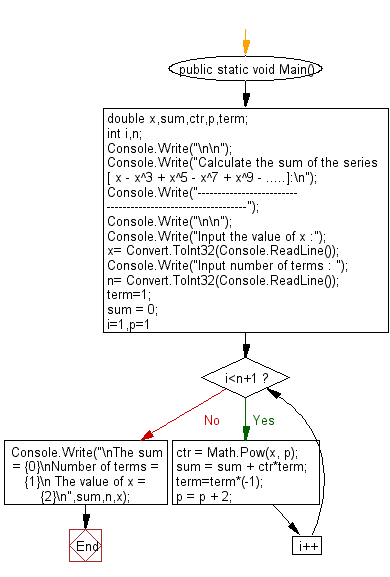 Previous: Write a program in C# Sharp to display the sum of the series [ 1+x+x^2/2!+x^3/3!+....]. Next: Write a program in C# Sharp to display the n terms of square natural number and their sum.